Join us for the biggest football game of the summer and support England as they smash their way through the 2018 World Cup at our World Cup Screening! On Monday 18th June watch England vs Tunisia with us! Our World Cup Screening is the perfect way to immerse yourself and your guests in the spirit of the game. Watch on big screens with incredible atmosphere, where pundits, football legends and hosts will be in the audience with you. We’ll also be including unlimited drinks and post-match entertainment. 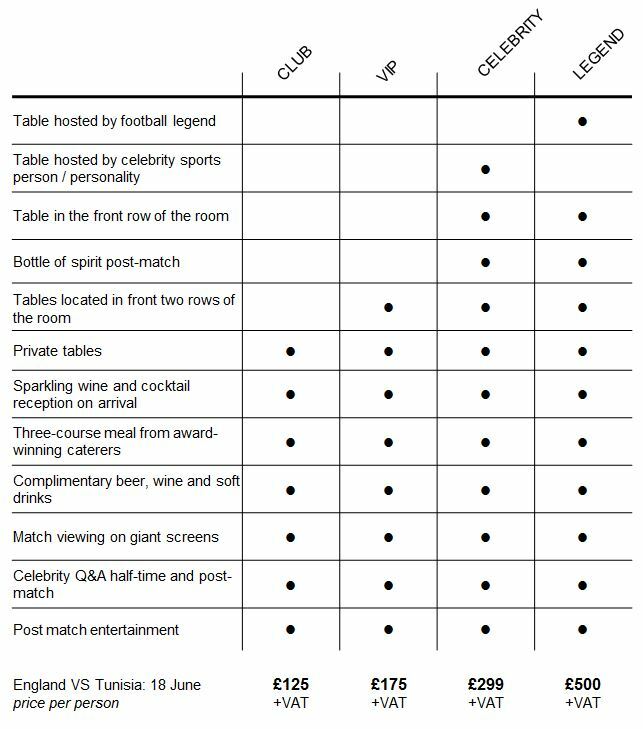 We are also offering VIP tables, Celebrity tables and Football Legend tables.